« Busy Weekend for Wexford athletes in Athlone! Forde finishes fine 11th in National 10k Championships! The Phoenix Park played host to the Great Ireland Run on Sunday which also incorporated the National 10k Championships. With over 4000 competitors taking part, competition was high. This years event was being organised by Dublin City Harriers. 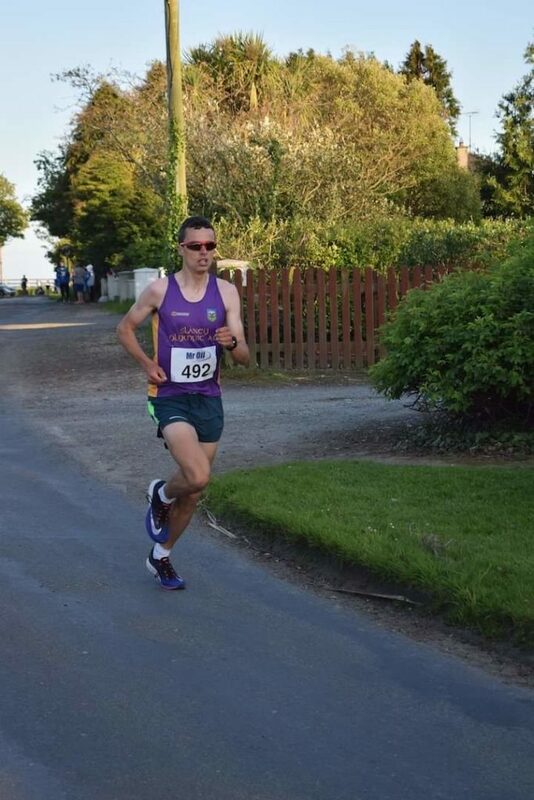 Wexford’s clubs had a number of athletes running the popular route, led by Ger Forde. Forde, is a multiple time County Senior Road Race Champion and is a force to be reckoned with. The secondary school teacher in CBS Wexford, dons the Purple and Gold of Slaney Olympic and regularly delivers super performances at National level. Just a couple of weeks ago, Forde clocked the fastest Parkrun 5k in the country, running 15:34, in Wexford Racecourse. On Sunday, Ger faced stiff competition from the likes of Hiko Tonaso (DSD) and Kevin Dooney (Raheny Shamrocks). However, despite the difficult conditions and the pedigree of the field, Ger produced an excellent performance to finish in a fine 11th place. His time of 31:54, was particularly impressive. John Murphy was the next Wexford man across the line. The DMP runner finished 67th overall, in a time of 34:53. This placed John as 10th O45 home, a very impressive result. David Barron of Slaney Olympic finished 112th. Barron’s result placed him 6th in the O50 category, in a time of 36:31. SBR were represented by Eugene Doherty. Doherty had a strong race, to finish 5th in the O60 category, in a time of 41:07. What’s very notable about these results is that all 4 men finished in the top 10 in their categories with Forde, 7th Senior Man home. With Wexford’s runners performing so well at National level we can look forward to what will hopefully be a cracking Mr Oil County Senior Road Race in June.